Any business, especially a small business, needs repeat customers to survive. To achieve this, a business needs to offer excellent customer service. Great customer service is essential to help small businesses attract and retain the customers they need to survive and compete against the big boys, and more so in a downturn economy. 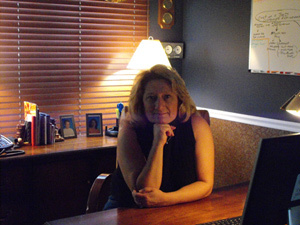 We interviewed Kathy Doering, President of market research agency Ann Michaels & Associates, Ltd. http://www.ishopforyou.com/, on the importance of customer service to a company. Kathy is well entrenched in the business of customer service as her company offers various market research services such as mystery shopping, phone and web based surveys, social media monitoring, call center capabilities along with data mining and PHD level analysis offerings. How important is customer service to the success of a business? Kathy: Customer service is the lifeline of any business. Business owners spend large amounts of time and money to win new customers but yet they don’t do much to insure that the customer is well taken care of once they arrive. Making sure your new customers turn into loyal customer is critical to a company’s success. Loyal customers create “word of mouth” advertising which is the best form of marketing a company can do. How can a small business leverage customer service to compete effectively? Kathy: Small Business owners should consider offering their loyal customers something to thank them for their patronage. Little touches go a long way and they don’t have to be expensive. Sending a personal email alerting a loyal customer of a sale before the general public learns of it is a great way to personalize service. Give customers the Disney experience whenever you can. Gather ideas from your employees. Since they deal with your customers on a day to day basis, they may have some create ideas to share as well. Why is it important to get feedback at how a business is doing in terms of customer service? Kathy: It is one of the best things a company can do for growth. Gathering feedback from your middle customers is critical. The middle customer is where most customers fall, neither extremely happy nor unhappy. Many times companies feel that if they place comment cards on a counter or have a standard feedback form on their website, this will be enough to gather the opinions and feelings of their customers. However, most of the time this will only give you feedback from one extreme or another; either your raving fans or very unhappy customers. Most people fall in between somewhere. That is where the real feedback is and where you can learn the most about your customers. How can a small business determine the quality of customer service they provide? Kathy: By continually measuring it by hiring a third party to perform the inspections and sharing the results with their staff on a regular basis, it will help to instill a customer service culture within their business. When employees are aware of such programs they will perform better. What gets measured gets done. What tools can a small business use to get feedback from their customers? Mystery Shopping, IVR Surveys (toll-free phone number survey), website surveys, intercept interviews are the most effective as ongoing measurements. How can a small business use these tools to improve customer service? Kathy: They use the tools as a way to constantly improve and get better. Our clients see an increase in revenue. It gives them an opportunity to reward good behavior and continue to train employees to make them better – not just in the area of product knowledge, but customer service training and sales training as well. One of our restaurant clients used their mystery shopping program as a way to increase appetizer sales. They developed an employee contest revolving around the sales of their Duck Tenders Appetizer. If the shoppers were asked if they wanted to try the Duck Tenders the server would win “ducky” type items like a new down comforter. Duck Tender sales went up and it was fun for the employees as well! What advice can you give to small businesses that are looking to improve their customer service? Kathy: If they are not already doing so, benchmark the service levels they have currently. Hire a professional company to help you. Survey design is critical to any effective program. Don’t use the “do- it- yourself” survey sites unless you have a degree in market research. It is worth the extra money to have a company help you create the best survey for your company. When the results are this important, you want to be sure you are asking the questions is such a way as to not lead the respondent in any way. This will give you a true picture of your business. Next, share the results with your staff. Get their opinions on how to improve. Make it a group effort. Get their buy in and then explain that you will be conducting this type of feedback from your customers on a regular basis. This will instill accountability among staff members and let them know that you mean business when it comes to customer satisfaction!